Steam Table Cabinets - G.A. Systems, Inc. 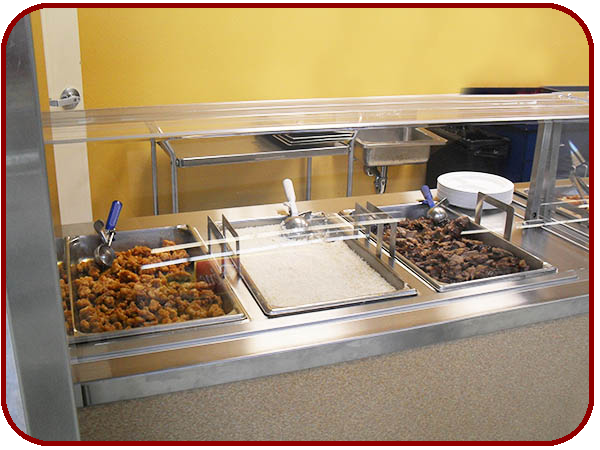 Steam Table Cabinets and Drop Ins are perfect to use for catered events, buffets, cafeterias and a variety of other settings. They keep food at safe serving temperatures for long periods of time by circulating consistent steam heat below food pans. 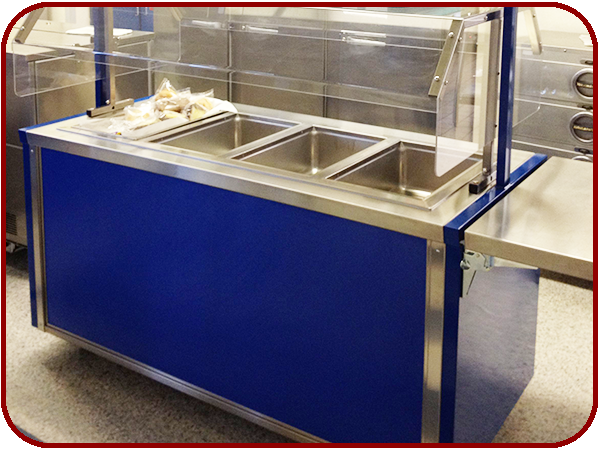 Steam Table wells allow you to choose moist or dry heat for your food. Mobile units are perfect for temporary setups or catered events. Each well is individually controlled, has a drain. 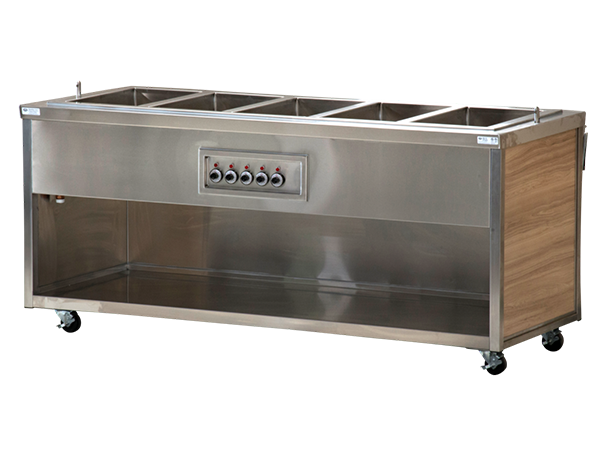 All Steam Table cabinets have manifold drains. Customization is available with front and end panel laminate colors and graphics, solid surface tops and tray slides, sneeze guards, over shelves, racks, and more!